Welcome to Episode 61 of the Nerd Lunch podcast. This week we have Jeremy from Geek Chunks returning to the fourth chair as we all ready for battle in the TAG Super Fight Dome. 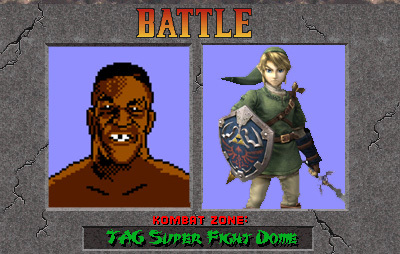 In the Super Fight Dome, we are given categories and we each pick a combatant with which to do battle. Expect the categories of Celebrity Chefs, Sitcom Dads and Giant Robots, plus several others. It’s a brawl and a free for all, so tune in to see who wins. Download this episode from iTunes or listen to it on Feedburner. And I’m no longer really sure, but I think we are still on the Zune Marketplace. Or, listen to it immediately right here. This entry was posted on November 13, 2012 at 9:00 am and is filed under movies, podcast, pop culture, TV shows, video games with tags movies, Nerd Lunch Podcast, podcast, podcasts, pop culture, TV shows, video games. You can follow any responses to this entry through the RSS 2.0 feed. You can skip to the end and leave a response. Pinging is currently not allowed.